Tomorrow, Marvel fans will be able to pre-order a new Iron Man Mark III Life Size Bust from Sideshow Collectibles. They have posted an update, giving us a full look and some info on the upcoming collectible. 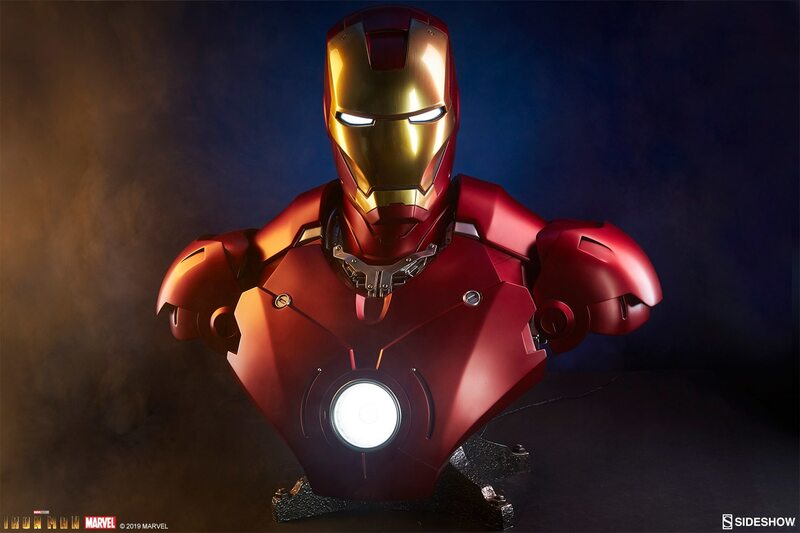 Based on the iconic third suit from the original Iron Man film, the bust stands over 26″ tall! The production is a joint venture between Sideshow and Legacy Effects, who worked on the special effects for the film. Iron Man feature light up eyes and a light up Arc Reactor in his chest plate. Look for the pre-order to go live tomorrow » Continue Reading. The post Iron Man Mark III Life Size Bust by Sideshow appeared first on The Toyark – News.